Looking for suggestions on a four post lift. Wouldn't mid a good used one. Needs to have a caster kit so i can move it. What are typical power requirements? I don't need a huge one as it would probably to get the lotus up off the ground in the winter and put another car or stuff under it. Right now, the M5, the lotus, and my aunts Cabrio are taking up a lot of room. Would be nice to stack two of them. Oh....as a note, I have a 2 post, so I don't need another....although that could happen someday. A friend of mine has a older model 7k 4 post from direct lift that I’ve used a few times. It just plugs in via a cord to 110v and raises quick enough. It’s sturdey and well built imo and really easy to move around with the casters. Nice. I'll look into those. Looks to be about 500 more than others, but the plug in is interesting. Others I've read about plugs into standard 110, but reviews said unless it was a 30amp circuit the breaker would blow. Been using it for about 8 years and haven't had any issues. I've never used any other brands so I really have nothing to compare it to. When it was at the warehouse it would regularly trip the breaker but here at the house it never has and my garage only has a 15 amp circuit. 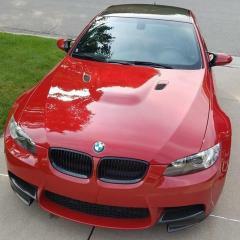 The heaviest thing I've ever lifted with it here is the e92. For guys considering a lift, one other comment is my garage only has a 9' ceiling. 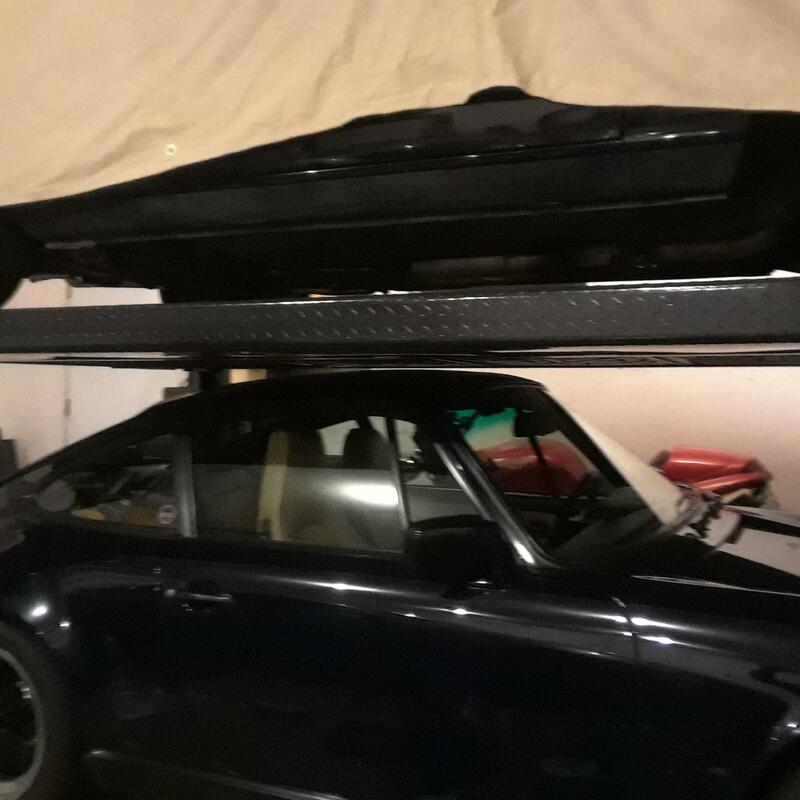 Maybe all 4 post lifts are like this but the detent slots in the bars the car hangs from are 6" apart and they have 6" of thread at the top you have full adjustability. In order to stack the e21 over the 911, I had to move the bars a couple inches. It's a tight fit. There's 4-5" to the ceiling and about the same from the apex of the roof of the 911 to the drip trays. 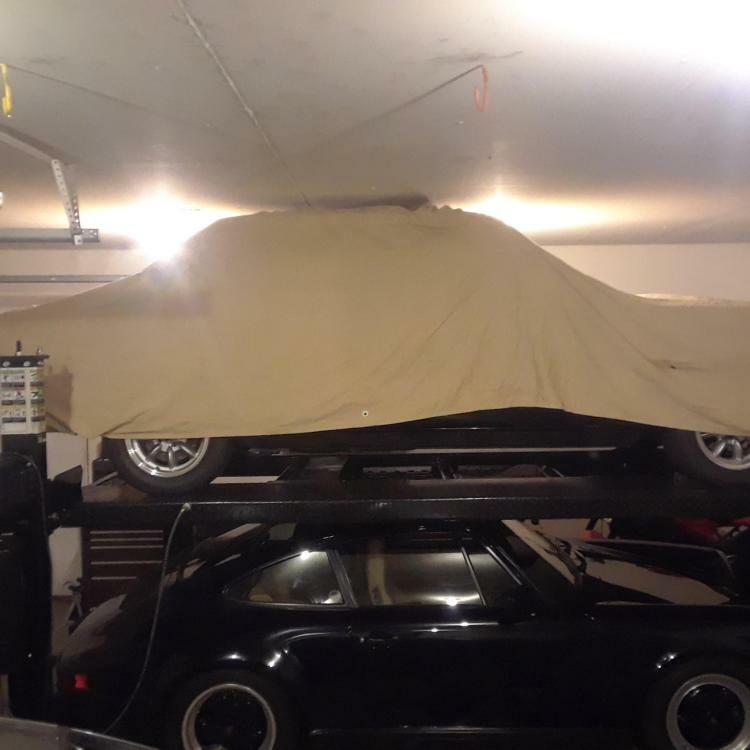 It was a little nerve racking the first time I drove the 911 under there. It's close enough that I think if the two cars weren't lowered, it might not make it. 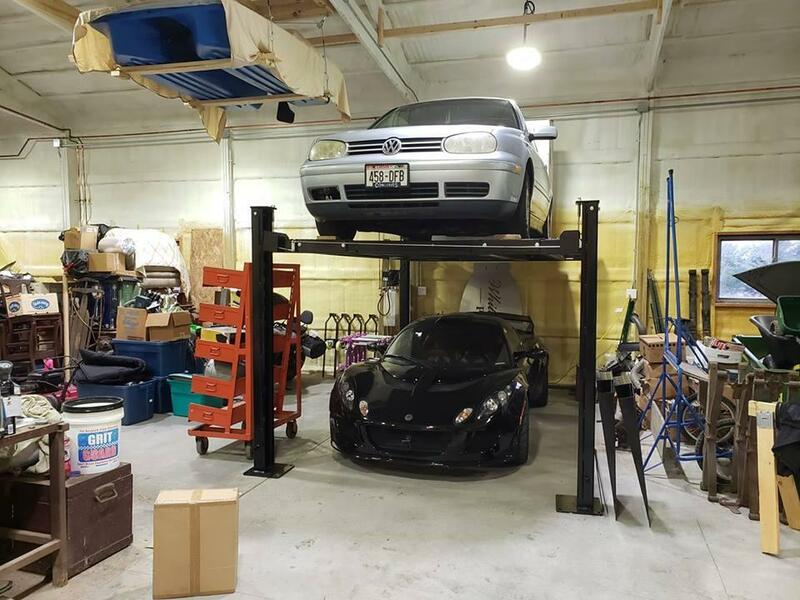 The other thing to think about is one has to raise the car on top an inch or so to take the load off the locks so they retract and will let the car down. There's a story out there about a guy with a Viper that raised the car up, the locks latched, then he didn't have enough clearance to raise it to unlock the latches and the car was trapped up there. Never heard how he got it down, if the old "let the air out of the tires" was enough. Wow....awesome fitment, and definitely important factors to consider. I'm pretty lucky, my shed has open trusses and the point where they meet the wall is 12'. I decided I couldn't afford a bendpak, so I got a triumph. Probably some rebranded chinese junk, but it had good reviews, came with the casters and drip trays, and had decent freight cost. Hopefully getting it by the end of the week. Then a giant shed reorganization will commence. Sweet! Who did you order it through? Some ebay seller. Contacted him for a shipping quote and completed the transaction. Pretty painless! Awesome! I appreciate the offer. Thank you! Not possible by 1 guy? Pfft. Yeah, not really sure what her deal is with it. Has a lot of rust, she's always been a volkswagen fan. I just hope I don;t have it much longer than this winter.